Word on the Street - It Gets Better Every Year! 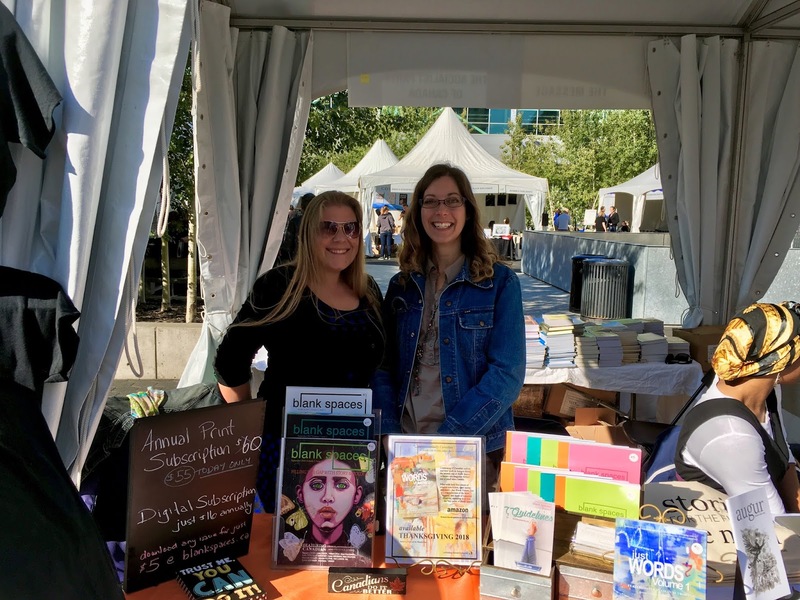 It's been a whole week since we set up at the Toronto Harbour Front, stretched our smiles, and greeted the huge number of literary lovers who came out to this amazing free festival. This was our third year attending, second year running a booth, and it just gets better and better. Thank you to every one of you who sought us out to say hello. It means so much to put faces together with stories or art we've published. It was encouraging to speak with new people too, those timidly checking out where they might submit their work. It's our hope that we were kind enough to make you brave enough to send your stuff our way. Attending an event like this isn't cheap. We had travel expenses (food, gas, hotel), plus the cost of our booth (not cheap!) — but it's certainly worth it when we think of all the connections we made with past, present, and future contributors and subscribers. There were some major epiphany moments while attending a panel discussion on fundraising which we're excited to share with you in the near future, so stay tuned for that — but beware, we're going to ask for your participation! 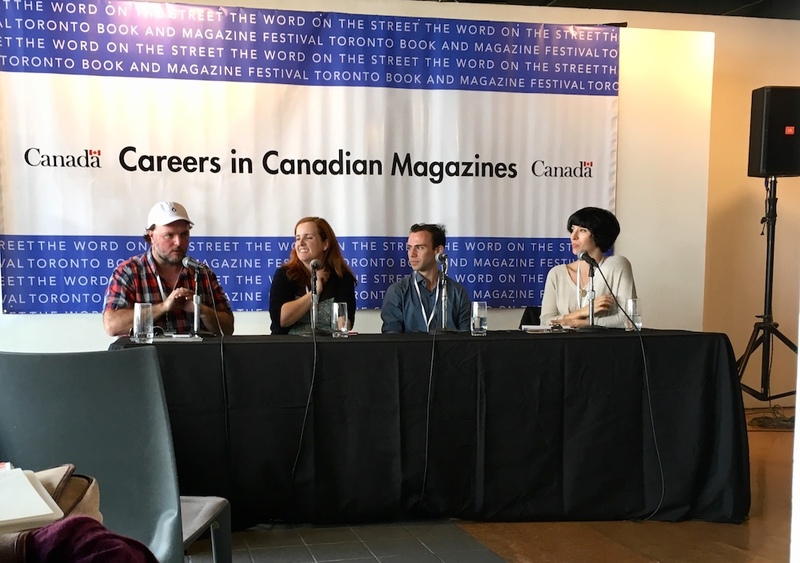 The weather was perfect; we shared table space with Augur Magazine and they were excellent neighbours and a wealth of information (Like speculative fiction? Check them out! ); and a weekend away together as a Blank Spaces crew does wonders for helping us regroup and look forward as a team. So, watch out! We are inspired and motivated and FULL OF BIG IDEAS! We'll be at Sidney Smith Hall (University of Toronto) on November 17, 2018 for FROM PEN TO PUBLISHED, a daylong publishing fair filled with keynote speakers, networking, and workshops. This is a free event, but only a limited number of tickets are still available. Sign up and come chat with us!